$58.051 million on 3959 screens. Marvel Comics’ original superhero team returns in 2007’s Fantastic Four: Rise of the Silver Surfer. The flick introduces us to Galactus, a powerful world-destroying force. This organism uses the Silver Surfer (voiced by Laurence Fishburne) as its herald. The Surfer finds new worlds for Galactus to imbibe – and Earth is next on the menu. In the meantime, the Four deal with their status as heroes and celebrities. This causes complications in the wedding of Reed “Mr. Fantastic” Richards (Ioan Gruffudd) and Sue “The Invisible Woman” Storm (Jessicam Alba), especially since Reed remains perpetually distracted by work. When the military comes calling to ask for help with the mysterious threat posed by the Surfer, Reed initially resists this job to focus on Sue, but his curiosity gets the best of him. Reed creates a tracking device. The Surfer doesn’t like being stalked, so he disrupts the wedding to destroy the gizmo. Johnny “Human Torch” Storm (Chris Evans) chases the Surfer – without much success. In fact, the encounter alters the Torch and means that when he touches one of the other members of the FF, they swap powers. In the meantime, the Surfer also attracts the attention of Victor Von Doom (Julian McMahon), the FF’s arch-nemesis. Doom comes back from his imprisonment/apparent death and learns a secret that can help stop the Surfer. This leads to a very uneasy alliance between the FF and Doom. We follow their attempts – along with the inevitable complications and surprises. At least in its theatrical version, I found the 2005 FF flick to be a disappointment. Rushed and scattershot, the movie tried to pack too much into too little time. The extended DVD version corrected things somewhat, but the movie remained thin and not particularly good. I hoped that Surfer would improve on that situation. I figured it should since it didn’t have to deal with the first flick’s massive amounts of exposition. That movie needed to introduce us to five major characters – the Four plus Doom – as well as turn them into characters with unusual powers and create some sort of action plot. That’s an awful lot to cram into one movie, especially one that ran only 106 minutes in its theatrical incarnation. At 91 minutes, Surfer is even shorter, but since it doesn’t have to set up much beyond the Surfer and his mission, it can devote most of its time to story and action. If we examine it as a rough and tumble fight flick, it has some fun moments. The action scenes never quite become great, but they’re pretty good and they add some life to the experience. However, there’s just not a lot here to make the FF a compelling group. Like the first film, Surfer paints its characters in broad strokes and never does much with them beyond the surface basics. No, I don’t expect a ton from a comic book flick, but I think that a better-developed effort could milk more life and emotion from its participants. Case in point: a death scene late in the movie. A main character buys it, and even though we know that person’s demise won’t take, it still should pack some emotional punch. However, it doesn’t move me at all. The film doesn’t deliver any form of feeling; it’s a zippy experience from start to finish without anything deeper to it. And that’s a shame, as the story and characters could – and probably should – possess more of an impact. At least Evans and Michael Chiklis still do well with their roles. There’s no emotional life to them, which is especially disappointing in terms of the Thing. He’s essentially a tragic figure, but the filmmakers decided not to deal with any of his angst. They made him fine and dandy with his malformed status, so we get nothing more than that. Despite the one-dimensional character portrayals, Chiklis and Evans are too much fun in their parts for me to criticize them. While he doesn’t much look like Johnny from the comics, Evans comes closer than all his co-stars in terms of delivering a performance that fits the character. Chiklis is pretty solid as well, though, and their scenes together are some of the movie’s most fun. Gruffudd and Alba remain more problematic. Actually, Gruffudd is okay as Reed, but Alba is still badly miscast as Sue, and they boast absolutely no chemistry together. Their sequences are the opposite of those with Ben and Johnny. They fall flat on the screen, which is a particular problem since so much of the story asks us to care about their relationship. We don’t, and the film suffers. I can’t say that I dislike Surfer, but I also can’t claim that it does much for me. The movie is enjoyable but extremely lightweight. It entertains in a minor way and that’s it. Fantastic Four: Rise of the Silver Surfer appears in an aspect ratio of approximately 2.35:1 on this Blu-ray Disc. As a fairly early Blu-ray, I worried the image wouldn’t hold up, but it still looked pretty good. Sharpness worked well. A few interiors seemed slightly soft, but the majority of the movie displayed nice clarity and accuracy. I saw no signs of jagged edges or shimmering occurred, and edge haloes appeared absent. In addition, I saw no signs of source flaws in this clean presentation. In terms of colors, Surfer opted for standard orange and teal much of the time. These tones seemed well-developed. Blacks were deep and dense, while shadows showed good clarity and smoothness. This was a mostly solid visual presentation. Did the DTS-HD 5.1 soundtrack of Surfer compare with the picture? Yup – the audio was even more impressive than the visuals. With all the comic book action, the flick boasted many opportunities to charge the soundfield with lots of life. Flight scenes with the Surfer and/or Johnny zipped around the room, and the battles became quite encompassing. In particular, the military assault on the Surfer kicked things to life in a powerful manner. Elements featured good localization and placement, and they fit together quite well. Audio quality also was strong. Speech seemed natural and crisp; no edginess or other flaws interfered. Music was bright and bold, and effects packed a great punch. Those parts of the track showed nice definition and vivacity. Overall, this was a top-notch soundtrack. 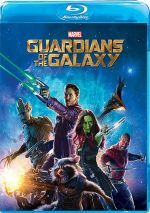 How does the Blu-ray compare to the movie’s DVD release? Audio showed more heft and dimensionality, and visuals looked smoother and more concise. The Blu-ray brought us a good step up in quality. In terms of extras, we find two audio commentaries. The first comes from director Tim Story as he provides a running, screen-specific chat. He discusses story and character notes, cut scenes and alterations, effects, costume and set design, allusions to the comics, and a few other production issues. Story doesn’t exactly offer a high-energy conversation, as he tends to go silent a lot; these periods are brief but somewhat frequent. Nonetheless, I like the information he offers. It’s good that he comes at the film from a storytelling point of view; in these big action/effects flicks, that side often gets lost among technical tidbits, so I enjoy the character and plot-oriented side. Though Story doesn’t make this a great commentary, he proves informative and engaging enough. For the second track, we hear from producer Avi Arad, writer Don Payne and editors Peter S. Elliot and William Hoy. The editors sit together, but the other two operate solo, and all four are cut together for this piece. We learn about script, story and related changes, cutting the film and pacing, effects, locations, and general notes. Arad pops up infrequently and says little of substance when he does appear. However, the other three prove to be more useful. Because the director talked so much about the story and character aspects, some inevitable repetition occurs. However, this is minimal, especially since the writer and editors look at things from a different viewpoint. They’re even more than happy to criticize parts of the flick that think don’t succeed. This is an interesting and enjoyable piece. After this we get a documentary called Family Bonds: The Making of Fantastic Four: Rise of the Silver Surfer. This 46-minute and 11-second show concentrates on behind the scenes footage, as it gives us a “fly on the wall” view of the production. During “Pre-Production”, we look at location scouts, various effects challenges, set design, story issues and changes, costumes and makeup. From there we move to “Production” and examine what happens during the actual shoot. I love this kind of program, and “Bonds” proves satisfying. No, it doesn’t give us the perspective that a more traditional interview-format doc would bring, but the sense of immediacy we get more than compensates. “Bonds” provides a fine look at the flick. Five pieces appear in the “Featurettes” domain. The Fantasticar: State of the Art runs 10 minutes, 37 seconds and offers notes from Story, concept artist Tim Flattery, TransFX project manager Charlie Zurian, TransFX Fantasticar project manager Mark Demlin, TransFX designer engineers Akiel and Phil, and actors Ioan Gruffudd and Michael Chiklis. “State” looks at the design and creation of the Fantasticar. It provides a pretty good take on those topics, as it covers things in a satisfactory manner. For the 15-minute and 10-second The Power Cosmic, we get remarks from Fox Senior VP of VFX John Kilkenny. “Cosmic” examines the film’s adaptation of the Silver Surfer. We learn about character design and how the movie brought the Surfer to life as a CG participant. We also find notes about some of the other CG representations found in the flick. “Cosmic” loses some points due to monotony; with only one participant, it lacks variety. Nonetheless, Kilkenny throws out a lot of good notes, and he helps make this an informative piece. Sentinel of the Spaceways: Comic Book Origins of the Silver Surfer fills 39 minutes, two seconds with info from FF creator Stan Lee, writer/artist Jim Starlin, and writers Ron Marz, Steve Englehart, and JM DeMatteis. “Sentinel” examines the beginnings of the Surfer in the comics and follows his development over the years. It also discusses the various folks who worked on the Surfer through time and how he changed. Comic fans will probably already know much of this info, but “Sentinel” offers a very nice primer about the Surfer. It gives us a broad view of the character over time and discusses him in a compelling way. It doesn’t touch on every aspect of the Surfer’s career – oddly, we get no mention of John Byrne’s big-deal mid-80s take – but “Sentinel” still proves very worthwhile. After this we find the 11-minute and 34-second Character Design with Spectral Motion. It includes statements from Chiklis and makeup prosthetic supervisor Mike Elizalde. The show views the design and creation of the Thing suit. We also watch how it gets put onto Chiklis. It’s another solid featurette on a disc packed with great stuff. Finally, Scoring the Fantastic lasts four minutes, 39 seconds and features composer John Ottman and score orchestrator/conductor Damon Intrabartolo. They offer a quick overview of the score and its recording. Don’t expect much depth, but this quick piece gives us a passable look at the music. 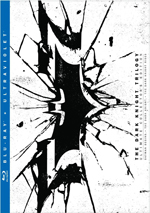 Five Extended and Deleted Scenes run a total of nine minutes, 36 seconds. We discover “Full Main Title” (3:50), “Fantastic Store” (1:11), “Wedding Montage” (2:01), “Reed Gets Crushed Ring” (1:11) and “Doom Builds Arm Band & Covers Up His Mask” (1:23). “Store” is insubstantial but fun, as is “Montage”. “Title” doesn’t really offer anything improved, though, and “Ring” is just goofy. “Doom” is also pretty expendable. Really, all the scenes are easily lost, so I can’t say any should’ve made the movie. Nice touch department: most of the clips start and end with black and white shots to designate the material in the final cut. This makes it easier to tell what’s new. We can watch these scenes with or without commentary from Story. He tells us a little about the segments as well as why he gave the sequences the boot. He offers the appropriate info. Three sections appear under Still Galleries. We find “Behind the Scenes” (25 shots), “Characters” (45) and “Concept Art” (30). The “Art” is definitely the most interesting of these, though some of the “Scenes” images are good. “Characters” is pretty much a waste of time, though. Exclusive to the Blu-ray, we find two games. “Who Dares Defy Galactus?” provides a slow, clunky strategy contest, while “Saving the World One Question at a Time” offers a piece that runs alongside the movie. This throws a slew of questions at the viewer, most of which relate to the original comics. It’s an interesting trivia contest, but it makes it difficult to watch the film at the same time. The disc opens with ads for The Simpsons Movie and Live Free or Die Hard. Trailers adds two promos for Surfer, and “Fox on Blu-ray” provides clips for Fantastic Four, League of Extraordinary Gentlemen and X-Men: The Last Stand. Like the first Fantastic Four movie, Rise of the Silver Surfer provides reasonable entertainment, but it lacks the depth, heart and power that I think it could’ve delivered. The Blu-ray offers very good picture and audio as well as a nice set of supplements. Though I’m not wild about the movie itself, the Blu-ray brings it home well.